Happy Monday! Anyone else excited about that extra hour of daylight we get? I don't' even care about losing that hour of sleep; I'm just glad it is lighter for longer in the evenings. I hope you all had a good weekend! Dave and I decided to head to NM this past weekend. We were on a mission to escape winter and small town life. We ended up going to Carlsbad Caverns and White Sands. Dave suggested the caverns and I was in a panic because I thought it entailed miles of hiking. However, it did not. 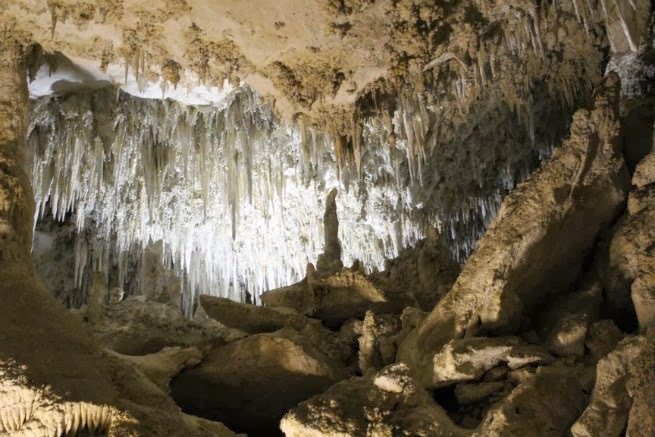 Carlsbad Caverns are caves - huge huge caves! I had no idea they existed. 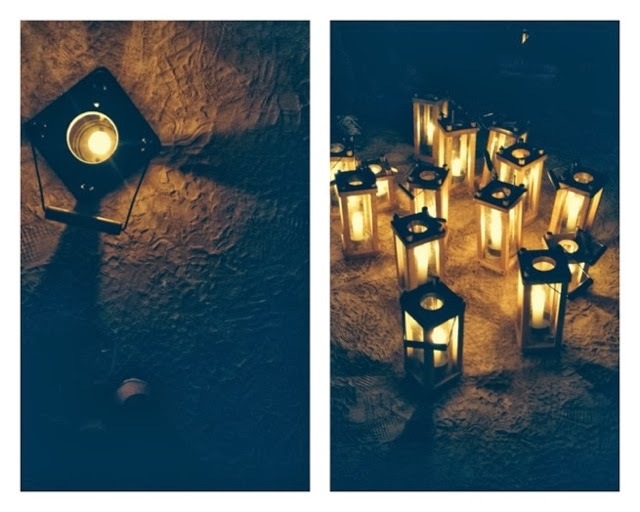 I took a lantern tour of the caves, which was rather interesting and fun. After the caves we drove over to White Sands National Monument. 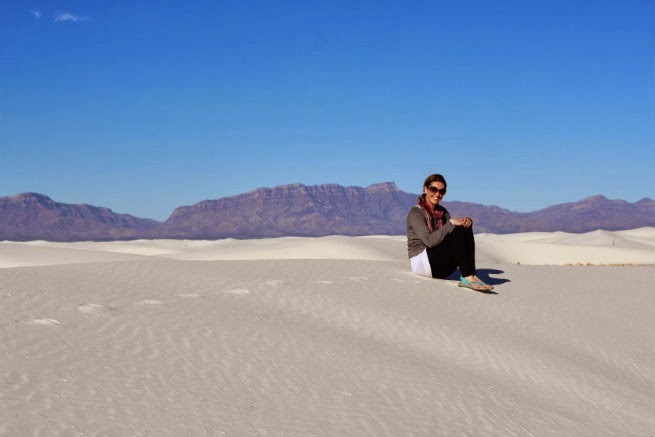 I have a love for sand dunes - this is my 5th sand dune park I have visited. How was your weekend? Are you loving more daylight or do you hate to lose an hour of sleep? Today I'm also teaming up with Melyssa over at The Nectar Collective for a lovely little giveaway. There are two prizes - $125 Amazon gift card and a $50 Etsy gift card. Hope on over here to enter. Caverns are so cool! I went to Luray in VA and definitely want to see more! I'll take the daylight over sleep any day! So glad spring is almost here! Your mini-vacation looks like so much fun. This warmer weather definitely warrants some more adventures. Those caverns are so beautiful. It's weird because I haven't had daylight savings in 5 years. How long of a drive to those sand dunes and the lantern caverns? Those look cool. 24 hours of daylight would be tricky! How do you manage that? I think I would buy black out curtains. I didn't know they had any in VA! I might have to check those out someday. I don't think pictures can depict caverns - they are just something you gotta see for yourself. I'm so glad spring is almost here too!!! I'm over winter. That's a long time to not have any daylight savings. I didn't miss it when I didn't have it either so I guess you just adjust accordingly. I agree! Caverns are something you just have to see in person. However, I don't like being underground and away from the sunshine for long so the sand dunes win any day! A long time! 7 1/2 hours to the caves, 3 hours over to the dunes and then 8 1/2 hours home =) Our car is a good friend and I'm a pro at napping in it. well, if you can't give us blate pictures I'm happy to look at these :) both the caves and the dunes look incredible! You should google and see if there are some around you somewhere. I'm surprised at how many there are. That is nice to have sunlight when you get home from work. If not you feel cooped up all day and night! 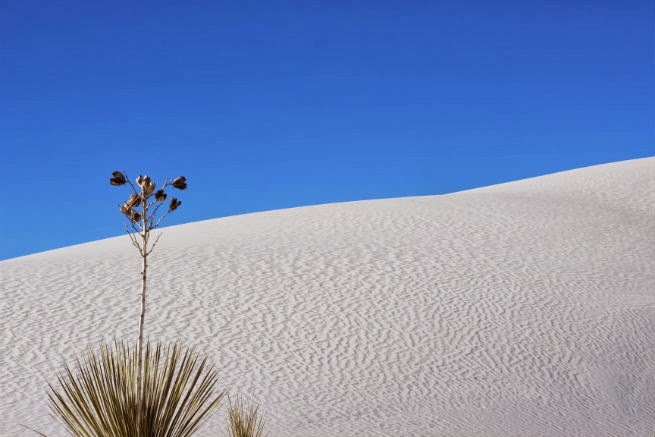 White Sands is one of my absolute favorite places. I love it. Great photos! I'm glad to hear someone else has heard of it and visited. Thanks for stopping by. Wow, gorgeous place. I would love to visit. Yup, Luray Caverns and I think the others are called Grand Caverns, but I'm not 100% on that. And I totally agree, they are definitely so much cooler in person! I enjoy both switches when they happen. It takes me a bit longer to get use to losing an hour of sleep though. You should visit if you ever get the chance. 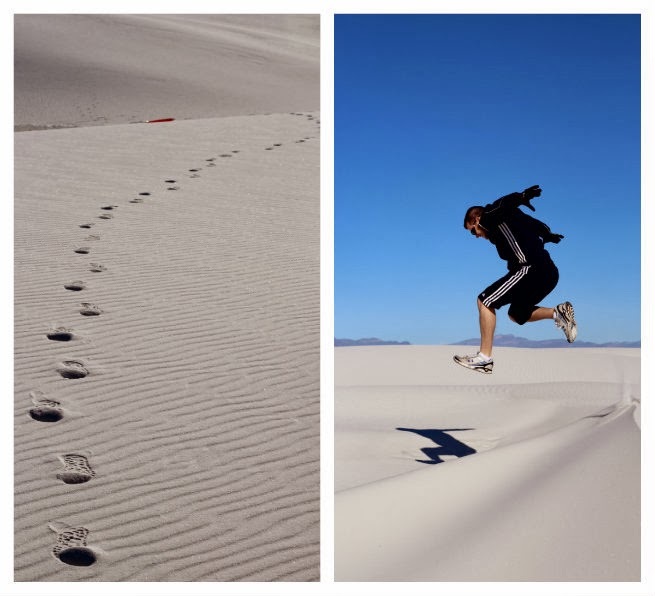 Are there sand dunes near where you live?